It was completely by chance that my family and I ended up at Pearl Harbor on Memorial Day. This visit to Pearl Harbor was therefore even more memorable because of this accidental occurrence. My dad is quite a history buff, so naturally when in Oahu, we had to visit Pearl Harbor. 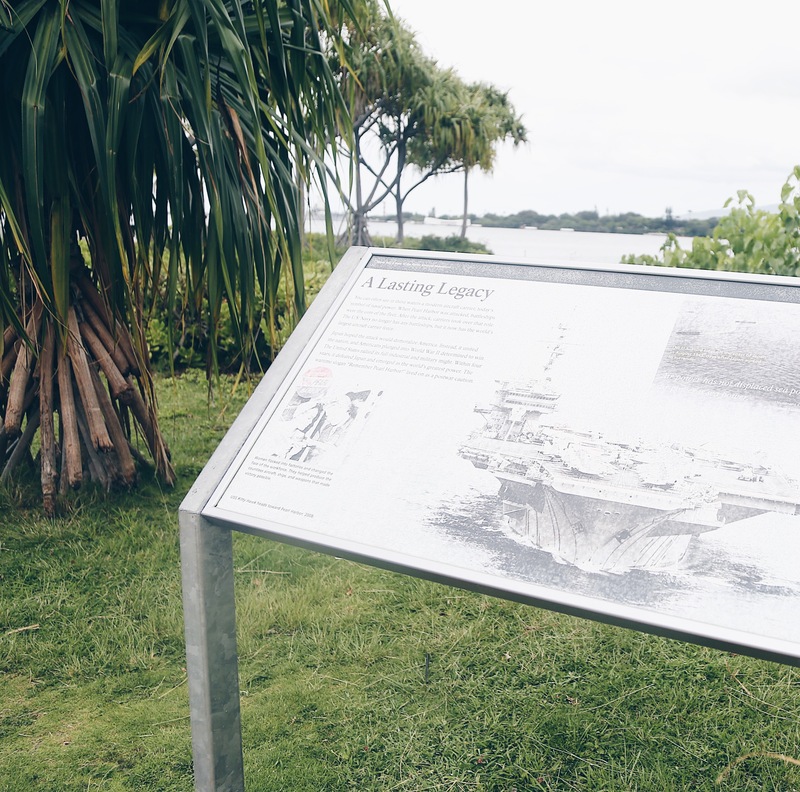 I had to brush up a little bit about Pearl Harbor for this post. 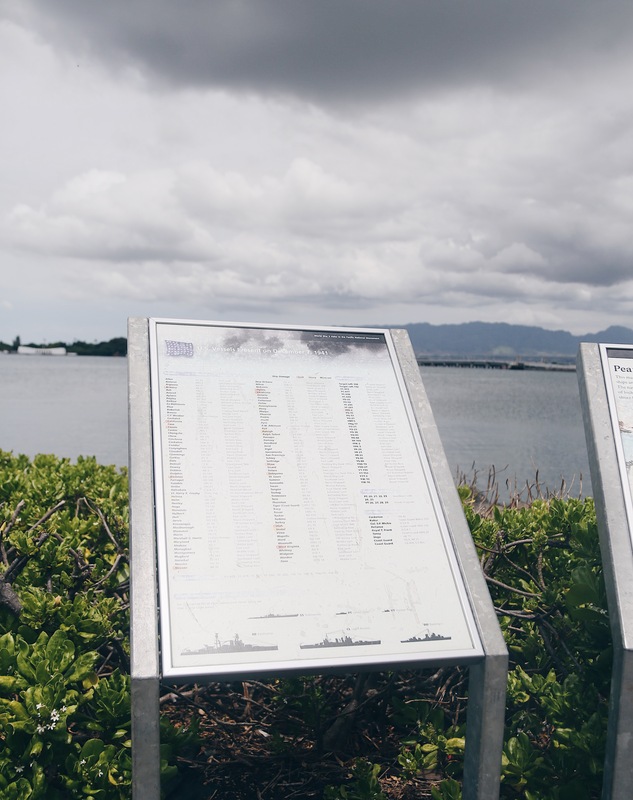 Visitpearlharbor.org states, “On December 7, 1941, the world was forever changed when the Japanese launched an attack on the United States at Pearl Harbor, Hawaii. It was one of the most defining moments of US history, bringing the US into World War II, changing the balance of power of the world, and cementing the United States’ status as a global superpower. The attack on Pearl Harbor began just before 8 AM, as fighter pilot Mitsuo Fuchida shouted “Tora, Tora, Tora!” The word means “tiger,” but it was also a radio code acronym meaning “lightning attack,” signalling the attack was a total surprise to everyone at the naval base. Fighter planes, bombers, and torpedoes were used, with the attack intended to prevent the US Pacific Fleet from interfering with Japanese plans in Southeast Asia. Within hours after the Pearl Harbor attack, the Japanese had also hit the Philippines, Guam, Wake Island, Malaya, Singapore, and Hong Kong. The day of our visit to Pearl Harbor, the skies were pretty cloudy, and I was unable to get some worthy pictures of this historic place. There were plenty of space for my kiddos to run around, and we mostly ventured out in the open space, walking around and soaking in the historic space. 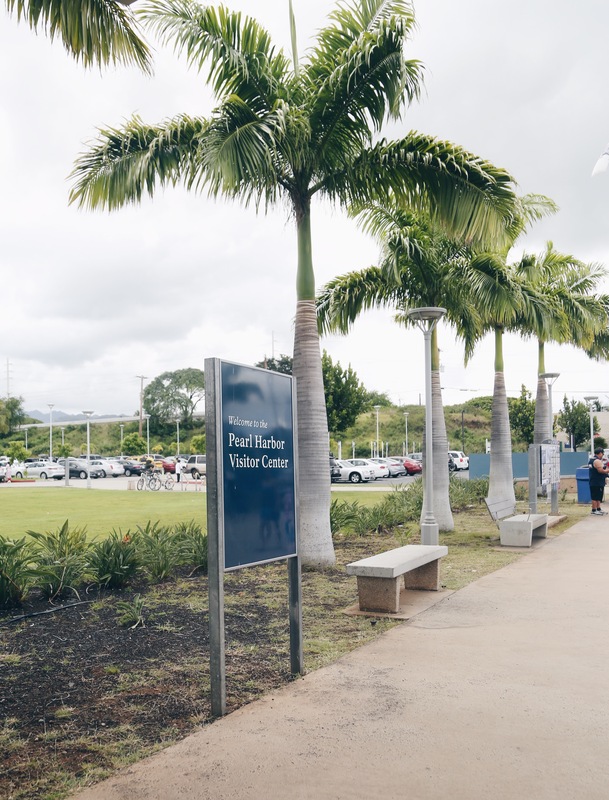 Not really used to the humid heat of Hawaii, it was too hot for me to walk around and I have to admit, I found myself in the air conditioned snack shop a little too long, and lingering in the shady areas with my snacks and cold drink. As it was also Memorial Day, it was fairly crowded, and as I am not one to enjoy overly hot and crowded places, we only stayed a short time. Despite this, I thought it was amazing to have experienced a visit to Pearl Harbor. 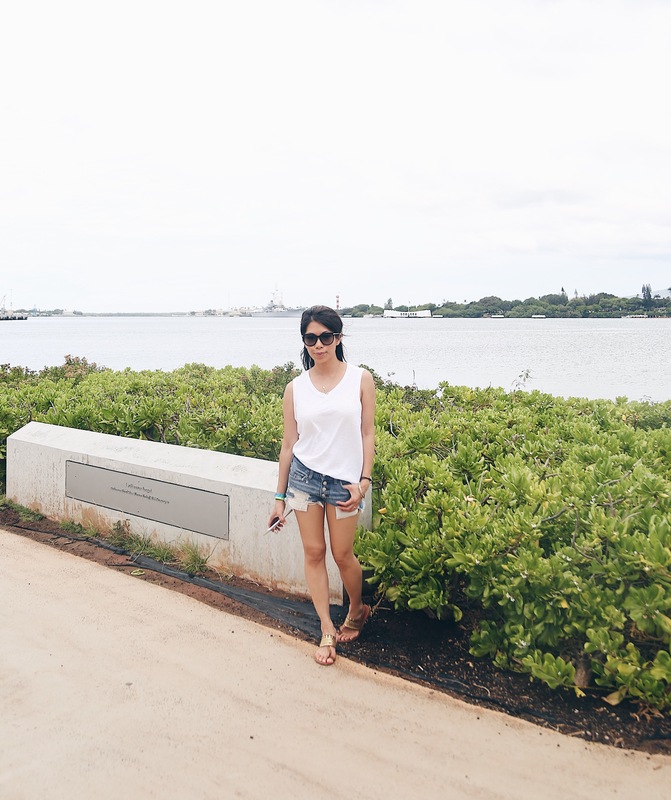 If you are in Oahu, Pearl Harbor is a must see, as Oahu is not particularly a big island. I think we were on one side of the island, with Pearl Harbor on the other, and it took me about 25 minutes of driving. I was initially apprehensive about driving in Hawaii, but seriously, compared to LA, driving in Oahu is as calm as you can possibly imagine, even while being unfamiliar with the island. I will need to stop by. I was just at the African American Heritage Museum in Minnesota and there’s a lot on Pearl Harbour there. So heartbreaking and there were also so many great heros.